Happy New Year to you and yours! We at Gypsy Studios are looking forward to all the excitement that 2017 holds for us and all the adventures it is sure to bring. We hope you’re recovering from the holidays and looking forward to a fresh start as well. 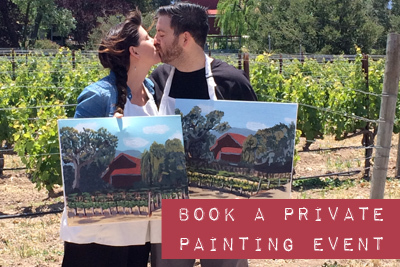 This new year brings with it new options for getting your art on in our beautiful Santa Ynez Valley…and beyond! This year we will be teaming up with the Buellton Rec Center to offer a Wednesday daytime class for anybody that has wanted to learn to paint but has been unable to attend our evening classes. That class begins on February 1st. 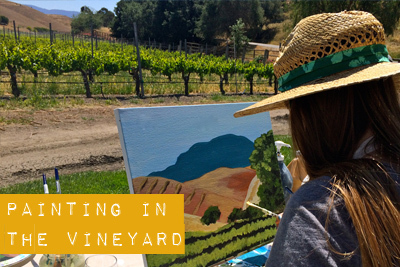 Our evening 6-week beginner painting series will still be held beginning on Tuesday, January 24 at the Bethania Lutheran Church Hall in Solvang at 6pm. So, gather a friend or two and make this year YOUR year, to nurture and grow yourself from the inside out :). Another new AND super exciting thing is that I (Christi) have been invited to hang my personal work in a group show at a local gallery. I’m creating a new body of work for this show and I’m really excited about it. A little backstory…Connie Rhodes, owner of the C Gallery–a contemporary art gallery in Los Alamos, used to be Christi’s high school art teacher before she retired and started a gallery. She thought it would be a cool idea to gather a few of her former art students that are now working locally in the arts together to put on a show! How fun. Along with Connie & Christi’s work will be Chelsea Ward of Sketchy Notions, and Callie Martin Robertson–Santa Ynez High School’s current art teacher. We are all thrilled about this collaborative show and hope to see lots of familiar faces at the opening in March. Date TBD! We have already begun filling spots for both weeks of our Italian Bellissima Art Retreat, so if this is something you have interest in joining, please be sure to reach out and secure your spot! Don’t let yourself miss out on the experience of a lifetime! 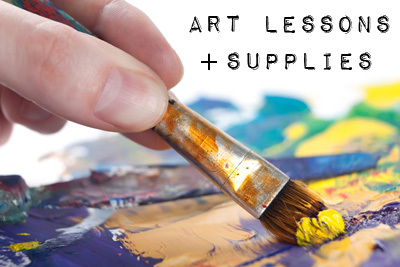 ‹ Announcing our Annual Italian Art Retreat–Bellissima Art Retreats!